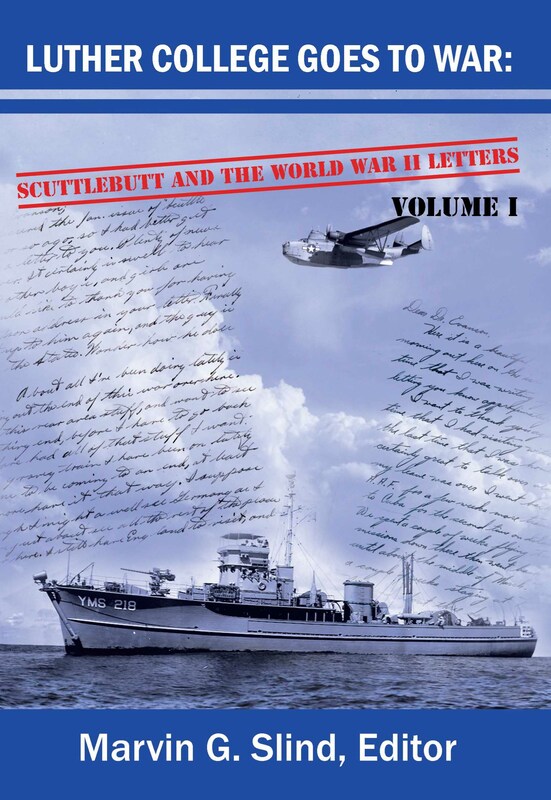 Luther College Goes to War: "Scuttlebutt" and the World War II Letters contains a collection of letters written to Professor Chellis Evanson, a 1918 Luther College graduate. After spending a year in the United States Navy, Evanson returned to Luther as a history professor in 1919. He organized the Luther College News Service in 1928 and worked as director of the college news bureau from 1928 to 1950. During World War II, Evanson wrote a Luther newsletter called "Scuttlebutt" which linked Luther men and women in the armed services. It eventually reached all servicemen from Luther College. Evanson served on the Luther faculty until his retirement in 1966 and was dean of men 1925-29. Luther’s World War II archive collection contains 762 letters, 50 postcards, 13 notecards, and 29 other notes written by Luther alumni and students who felt obligated to exchange the classroom for duty in a world of war. The letters that appeared in "Scuttlebutt" present an interesting insight to young soldiers’ and sailors’ idealized memories of Luther. They revealed the need of men and women caught in the calamities of war to recall memories of familiar places, caring people and enduring institutions. Men and women at war described a "Vision of Luther." The vision served as an assurance that an enduring and welcoming place of safety and stability awaited the Norsemen when they returned from the war. As young men approached the battlefields, their need for maintaining their roots was fundamental for their psychological survival in such tough conditions. Homecoming festivities, graduation ceremonies, classes, and sporting events are part of what the Norsemen called home. Harris "The Mullet" Kaasa, who would become a professor of religion after returning from war, described the worries and hopes of the Norsemen at war. "But this year all is not very well. Perhaps next spring, and I certainly hope by the spring of ’47, we can enjoy a real old time Iowa spring once again. The war weighs heavily on the shoulders and souls of peace loving people the world over." 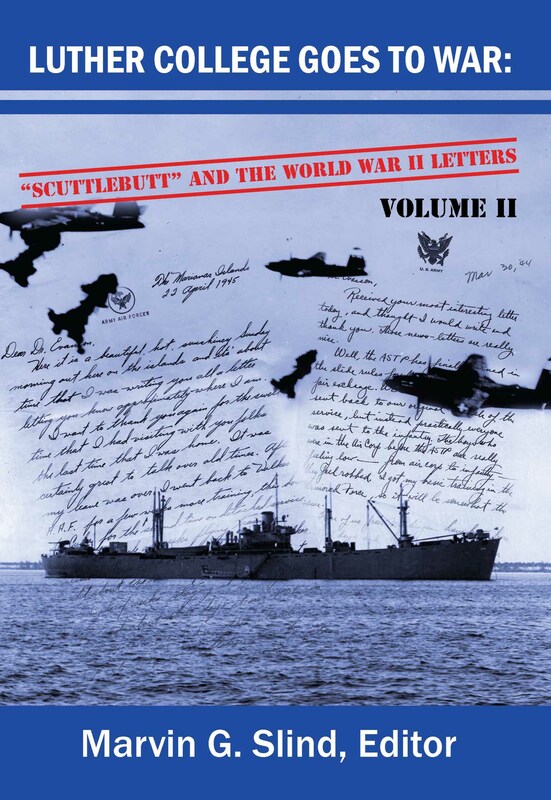 "Scuttlebutt" appeared from early 1943 until December 1945. Ultimately more than 800 men and women would receive the paper. From their introduction to the military to the most difficult military tasks, Luther students and alumni were thankful for the liberal arts education received in a small Lutheran college, which provided them with sufficient tools to confront the war and come back home to improve their communities. For information about ordering copies, please send me an e-mail using the link below.